Analysis: No surprise here, as Washington was able to re-sign Adrian Peterson on Wednesday and otherwise has the promising Derrius Guice (knee) on a rookie deal. Given Kelley's historical lack of efficiency while running the ball, he seems to have long odds of securing a fantasy-relevant role in advance of the 2019 season. Analysis: Kelley suffered a toe injury in Sunday's loss against the Colts and will be required to undergo surgery. Before exiting Week 2, Kelley logged only one offensive snap. With Kelley sidelined for at least the next eight games of the season, Samaje Perine could be in line to receive snaps behind Adrian Peterson and Chris Thompson. Analysis: Unlike Samaje Perine, Kelley has been active the first two games, but his usage has been minimal behind Adrian Peterson and Chris Thompson. As evidence, Kelley managed only one offensive snap during Sunday's loss to the Colts, which he left for a spell to have his toe examined. Although he returned to action, Gruden expects Kelley to go under the knife in the near future. If Kelley does, the Redskins are apt to activate Perine on game days for the foreseeable future. Analysis: Kelley left Sunday's game with a toe injury but it looks as if he has been cleared to return. Kelley figures to slide back into his role as the team's No. 3 running back behind Adrian Peterson and Chris Thompson. Analysis: Kelley's questionable diagnosis suggests the injury might not keep him sidelined too long. The Redskins' No. 3 running back has been reduced to a limited role with the backfield emergence of Adrian Peterson, but Kelley is still regarded as a high-end reserve. Analysis: Kelley played eight snaps on offense and nine on special teams, serving as the No. 3 running back behind Adrian Peterson and Chris Thompson. It isn't clear that Washington would turn to Kelly in the event of a Peterson injury, as Samaje Perine's inactive status theoretically could be attributed to his lack of value on special teams. Kelley took 11 carries for 49 yards and caught both of his targets for 14 yards in Thursday's preseason loss to Baltimore. Analysis: Kelley entered the game after Samaje Perine, who picked up 30 yards on seven carries. With Chris Thompson (leg) and Adrian Peterson already locked in, Kelley is competing with Perine and Kapri Bibbs for what likely will be two roster spots. Kelley's knowledge of the offense and value on special teams should keep him safe, but it won't be out of nowhere if he ends up getting cut. Kelley took eight carries for 19 yards in Friday's preseason game against Denver. Kelley gained 17 yards on seven carries and added a 13-yard catch on two targets in Thursday's 15-13 preseason win over the Jets. Analysis: Kelley's primary competition at running back in the wake of Derrius Guice's ACL tear was supposed to come from Samaje Perine, who ripped off a 30-yard run on his lone carry, but immediately exited with an ankle sprain. The attrition in Washington's backfield is raising Kelley's fantasy stock, with the 25-year-old now looking to engineer a bounce-back following his frustrating 2017 campaign. Kelley's workload for the upcoming season is expected to increase following Derrius Guice's ACL tear, Peter Hailey of NBC Sports Washington reports. Kelley got the start in Thursday's preseason game against New England, taking four carries for six yards. Kelley is down to 221 pounds and has been taking reps with the first-team offense, Sam Fortier and Kimberley Martin of The Washington Post report. Kelley is making a good impression on head coach Jay Gruden early in training camp, John Keim of ESPN.com reports. Analysis: Gruden said he isn't sure how many running backs he'll carry on the 53-man roster, adding that he might want to see if Kelley or Samaje Perine can play fullback. With Perine, Derrius Guice and Chris Thompson (leg) all expected to make the team, Kelley may end up competing for one spot with Kapri Bibbs, Byron Marshall and Martez Carter. While it sounds as if he has the early advantage, Kelley still isn't a lock to make the team. Kelley (ankle) returned healthy for offseason practices and saw extended reps with the first-team offense, Stephen Czarda of the Redskins' official website reports. 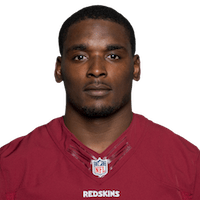 Kelley (ankle) finds himself in a crowded backfield alongside Chris Thompson (leg), Samaje Perine and rookie second-round pick Derrius Guice, Kimberley A. Martin of The Washington Post reports. Kelley (ankle) will have a lot to prove during the Redskins' offseason program and Organized Team Activities, Rich Tandler of NBC Sports Washington reports. Head coach Jay Gruden said Kelley (ankle/knee) was rarely healthy during the 2017 season, Stephen Czarda of the Redskins' official site reports. 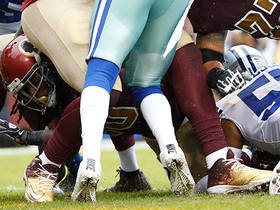 "Rob Kelley, his second game of the year against the Rams, he almost had 100 yards and that's when he hurt his ankle," Gruden relayed. "He never really was quite the same, but when healthy Rob Kelley was very good. Unfortunately, he played in about three or four games not healthy and he just kept returning that ankle and we had to put him on IR." The Redskins placed Kelley (ankle) on injured reserve Tuesday, Stephen Czarda of the team's official site reports. Redskins coach Jay Gruden confirmed that Kelley (ankle/knee) will miss multiple games, even saying that the running back may be placed on injured reserve later this week, John Keim of ESPN.com reports. Kelley (ankle/knee) has been diagnosed with a high-ankle sprain and a grade 1/2 MCL sprain, Ian Rapoport of NFL Network reports. Kelley (knee/ankle) will undergo an MRI on Monday. Analysis: Kelley led all Washington running backs with six touches after the first three possessions, but at that point, knee and ankle concerns forced him from the contest. In the post-game media scrum, he was seen on crutches in the locker room, a foreboding sign for the imminent future. Expect his status to be clarified somewhat once the appropriate tests are commissioned. If Kelley requires any sort of absence, the Redskins will turn to Chris Thompson and Samaje Perine at running back. Kelley (ankle) is doubtful to return Sunday versus the Vikings. Analysis: Initially diagnosed with knee and ankle injuries, Kelley's downgrade was accompanied only by the latter, indicating the Redskins have nailed down the area of concern. A return Sunday is unlikely, but his status will be one to watch in the coming days. Until he's ready for snaps, the Redskins will rely on Chris Thompson and Samaje Perine out of the backfield. Kelley is questionable to return to Sunday's game against the Vikings due to knee and ankle injuries. 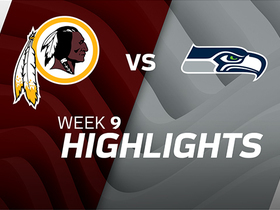 Analysis: Through the Redskins' first three possessions, Kelley led the team with four carries for 10 yards, while tacking on two catches for four yards. The numbers aren't eye-popping by any means, but the backfield could be whittled down to Chris Thompson and Samaje Perine for the remainder of the game. 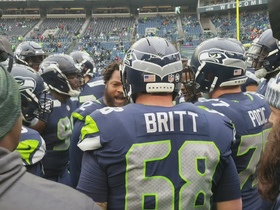 Kelley rushed 14 times for 18 yards and two touchdowns in Sunday's 17-14 win over the Seahawks. Kelley (ankle) is active for Sunday's game against the Seahawks. Kelley (ankle), who is listed as questionable for Sunday's game against the Seahawks, is expected to play in the contest, Ian Rapoport of NFL Network reports. Kelley (ankle) is listed as questionable for Sunday's game in Seattle, Stephen Czarda of the Redskins' official website reports. Analysis: Kelley played through the same injury the past two games and managed limited practice participation throughout this week. He should be available Sunday in Seattle, but he'll be running behind a banged-up offensive line while facing a defense that has held opposing running backs to 3.0 yards per carry and 59.2 rushing yards per game in its past four contests. Kelley has topped 30 scrimmage yards just once in five tries this season. Kelley (ankle) was a limited participant during Thursday's practice. Analysis: Redskins head coach Jay Gruden said earlier Thursday that Kelley is "close to being ready" for Sunday's game against the Seahawks, according to JP Finlay of NBC Sports Washington, and the running back's consecutive limited practices would seem to add credence to that notion. Kelley could log a more extensive workout Friday, but if he remains limited again, he'll likely carry a questionable designation heading into the Week 9 matchup. Kelley (ankle) practiced on a limited basis Wednesday, Master Tesfatsion of The Washington Post reports. Analysis: The Redskins were deliberate with Kelley's 12 offensive snaps Sunday against the Cowboys, giving him eight carries, one of which he turned into his first touchdown of the season. Meanwhile, Chris Thompson handled the remaining 47 snaps on offense. 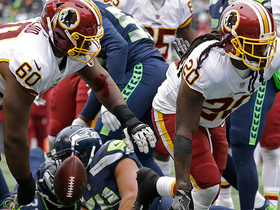 Washington's backfield has a clear pecking order at the moment, but Kelley should continue to have a small role in the offense Week 9 against the Saints, health permitting. 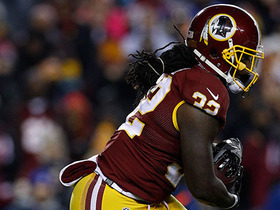 Washington Redskins running back Rob Kelley scores game-winning TD on 1-yard run. 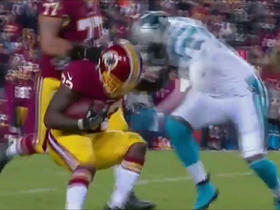 Washington Redskins running back Robert Kelley dives in for a 1-yard TD run. 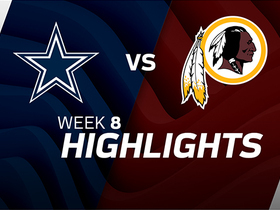 Watch the best plays as the Dallas Cowboys defeated the Washington Redskins in Week 8. 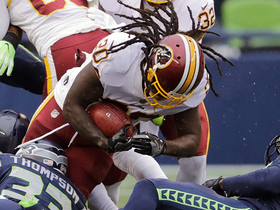 Washington Redskins running back Rob Kelley powers in 1-yard TD. 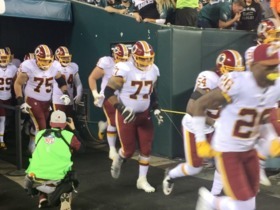 The Washington Redskins enter enemy territory before their Monday Night Football showdown against the Philadelphia Eagles. 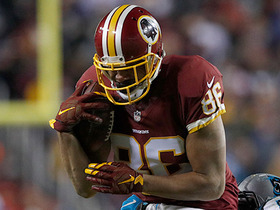 Washington Redskins tight end Jordan Reed is ejected from the game for unnecessary roughness. Washington Redskins running back Robert Kelley rushes for a 5-yard TD and kicker Dustin Hopkins misses the extra point after. Washington Redskins running back Robert Kelley gains 22 yards on a screen pass from QB Kirk Cousins.